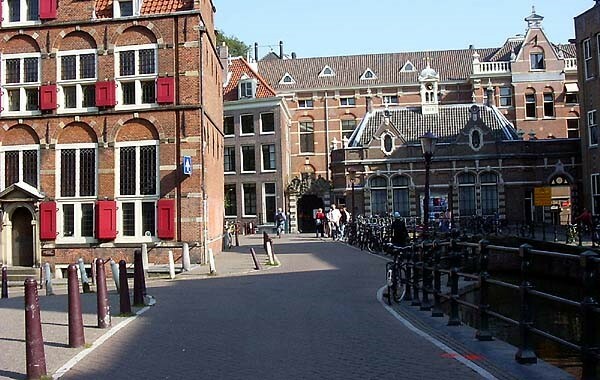 Applications are invited for a PhD position to join University of Amsterdam, Netherlands. The initial contract for this position is four years. Applications should be sent before October 26, 2018. The Faculty of Science holds a leading position internationally and participates in a large number of cooperative programs with universities, research institutes and companies. The faculty has around 6,000 students and 1,600 members of staff in eight research institutes and a diverse set of support services. Many projects are externally funded, either from Dutch and international sources both public and private. Since September 2010, the faculty resides in a new building at the Science Park in Amsterdam, one of the largest centres of academic research in the Netherlands. The System and Network Engineering (SNE) Lab is one of the three largest research labs at the Informatics Institute (IvI) of the University of Amsterdam (UvA). The SNE Lab conducts research on leading-edge computer systems of all scales, ranging from global-scale systems and networks to embedded devices. Across these multiple scales our particular interest is on extra-functional properties of computer systems, such as performance, energy consumption, reliability, programmability, productivity, trustability, and security. The SNE Lab invites applications for a fully funded PhD position in the area of exa-scale computing. In this project, the candidate is expected to work on developing a data infrastructure, which takes advantage of the current state of the art European e-infrastructures landscape (EGI.eu, EUDAT, and PRACE). Among other tasks the candidate will have to develop methods to optimize data management and delivery in various scientific applications. The salary is in accordance with the university regulations for academic personnel. The salary will range from 2,266 (first year) up to a maximum of 2,897 (last year) before tax per month (scale P) based on a full-time appointment. There are also secondary benefits, such as 8% holiday allowance per year and the end of year allowance of 8.3%.TheCollective Labour Agreement of Dutch Universitiesis applicable. You may only submit your application by electronic mail using the link below. To process your application immediately, please quote vacancy number 18-631 in the subject line. All these should be grouped in one PDF attachment. The committee does not guarantee that late or incomplete applications will be considered. The selection process will consist of multiple rounds, during which (selected) candidates may also be asked to complete a programming challenge. Applications not mentioning vacancy number 18-631 and the title of the position you are applying for in the subject-line will not be processed.